From the department chair’s desk on a sub-zero morning . . . The 2016 year has been eventful throughout the state and nation, as well as here at 1675 Observatory Drive. I’ll try to hit a few highlights, and then we’ll do some crystal-balling into 2017 and beyond. Let’s start with the undergrad program, where it is our privilege to teach the best and brightest young people in the dairy industry. Placement rates for our grads continue to be terrific, and we are constantly adding new high-impact activities. For example, the new Purina Nutrition Experience allows our sophomores and juniors to take a week-long dive into the world of a dairy nutrition consultant. Meanwhile, our student recruiting efforts are yielding solid results, with 22 new Dairy Science freshmen arriving this fall, from as nearby as Stoughton to as far away as Boston. Our research and graduate student training in dairy cow biology and dairy herd management is the envy of every other land-grant university in the nation. In my six years as department chair we’ve never ranked lower than fourth among sixty-plus dairy science, animal sciences, and animal biology programs in faculty productivity, as measured publications, grants, awards, and citations (in fact, we’ve ranked first in four of those six years!). Laura Hernandez just sailed through the tenure process, and today we’re literally in the midst of interviewing candidates for Lou Armentano’s position, following his retirement last winter. National extension and outreach events, such as the American Dairy Science Association’s recent Large Dairy Herd Management Conference, are dotted with UW-Madison faculty and alumni on the speaker list – a testament to their ability to mix cutting-edge science with practical on-farm applications. 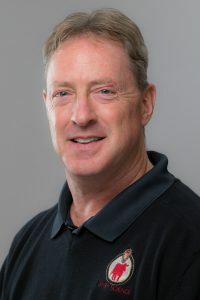 We plan to increase our impact on the management of Wisconsin dairy farms through the hire of Eric Ronk, who will assume responsibility for the Farm and Industry Short Course (FISC) Dairy Management Certificate and several of its key courses, as detailed in a feature article elsewhere in this newsletter. Like many commercial dairy farms, our facility upgrades are ongoing. Our new 9.7 million gallon manure pit and sand separator at the Arlington Experiment Station were put into action last week, and this will allow switching to 3X milking (and compliance with DNR regulations J). And by the end of next month our campus Dairy Cattle Center will have a new women’s locker room, updated men’s locker room, and remodeled lecture/lab classroom, as well as a visitor center that will start hosting K-12 school kids and visitors this spring. Despite all of our successes, there are challenges as well, most of which are external to the department. The reorganization of UW Extension has been widely discussed in the agricultural news, and at this point it’s not clear how this process will impact the world-class integrated extension specialists in our department, nor the dozens of highly dedicated extension agents serving dairy farmers around the state. At the same time, the College of Agricultural and Life Sciences (CALS) has embarked on its own “college redesign”. A committee of faculty and staff members in the college, including our own Paul Fricke, will spend much of the next year determining how to restructure CALS and position it for long-term success. The long-term decline in state funding of land-grant universities (from 45% to less than 15% of UW-Madison’s budget over the past four decades), coupled with a new campus budget model based on external grant dollars, number of students in the major, and average class size, poses real danger for a small department like Dairy Science. Our faculty and staff, as well as key stakeholder groups like the Professional Dairy Producers of Wisconsin and the Dairy Business Association, are actively working to ensure that Dairy Science and other departments that serve the dairy industry are adequately funded and positioned for continued success. You will probably hear about initiatives for angel or venture capital funding for high-risk, high-reward research that can lead to new dairy-related technologies and start-up companies. And you’ll definitely hear about big-picture efforts by our industry partners to maintain a critical mass of dairy faculty and staff, while putting new structures in place that will make us more timely and nimble in solving the problems that affect the livelihood of Wisconsin’s dairy farm families and limit the growth of our dairy industry. We have some big ideas. Very big ideas. And with your help we will create a modern and innovative “UW dairy hub” for research, teaching, and extension in dairy cow biology and dairy farm management that will encompass not only the Department of Dairy Science, but also other faculty in CALS and throughout UW-Madison who want to help solve dairy-related problems, as well as the outstanding faculty and staff at our sister campuses in River Falls and Platteville. Stay tuned.